The Strokes, Queens of the Stone Age, Mudhoney and more celebrate the 20th birthday of headliners Pearl Jam. 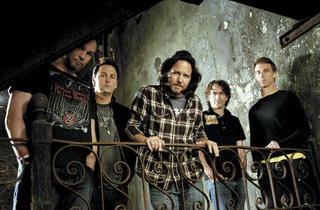 Pearl Jam, the anti-corporate, grunge-era road warrior, marks its 20th anniversary this summer, headlining a show packed with fellow travelers. Two decades is an impressive life span for any major rock band, considering that some of the most important acts of all time—from the Beatles to the Clash—never got close to ten years together. On the other hand, the new Eddie Vedder ukulele project is way more compelling than anything he’s recorded with his bandmates since the turn of the century. 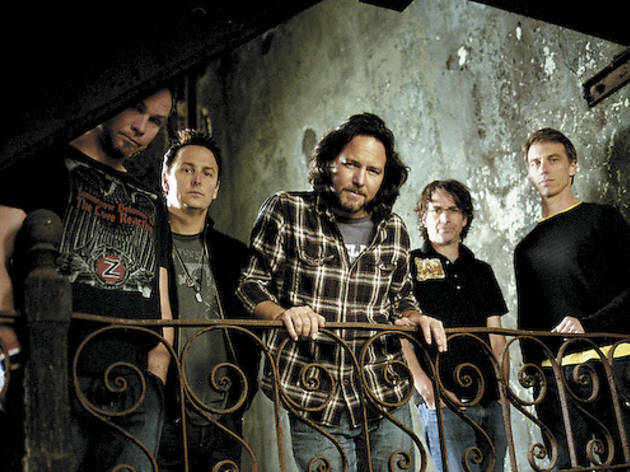 An often ferocious, if never virtuosic, stage act, Pearl Jam has its best moments enshrined in a recent reissue series of its first three albums, Ten, Vs. and Vitalogy, a period that saw wild-child Vedder refine his rage into a passionate, principled iconoclasm. Warming up main stage are the Strokes, taking their valedictory lap behind a comeback album. This looks to be the only regional show for the New Yorkers in support of Angles. Julian Casablancas, a confessed PJ fanatic, and his mates have their work cut out for them going on after stoner juggernauts Queens of the Stone Age. To kick things off, Mudhoney, the ghost of Seattle past, offers historical context. On the side stages, former X frontman John Doe plugs another excellent assortment of soulful, country-haunted confessions, while thoughtful troubadours Joseph Arthur, Glen Hansard and Liam Finn will strive to turn a stretch of open pavement outside the Wisconsin amphitheater into a coffeehouse.